Dr. Akashdeep Singh, a personality of sharp acumen, is a subtle strategist who has carved a pragmatic road map for the development of Global Institutes. He wants to see it prosper and flourish as a top class centre of higher education recognized everywhere as one of the best in the world. After his B. Tech in Mechanical Engineering from Guru Nanak Dev Engineering College Ludhiana and MBA from Guru Nanak Dev University Amritsar, he received first hand experience as a faculty in Business Management which germinated the seeds of Global Institutes in his mind and he set out in search of highest benchmarks for his dream project. His Ph.D in the field of Total Quality Management from Guru Nanak Dev University provided him with abundant inputs for the same. 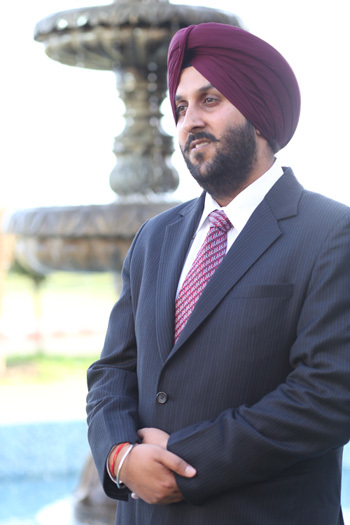 Dr. Akashdeep Singh is an Alumnus of World No. 1 Harvard Business School. Dr. Akashdeep Singh has visited a number of Universities & Institutions overseas including USA, Canada, Mauritius, Singapore, Malaysia, Uzbekistan, Kazakistan, USSR, Hong Kong etc to scot for new and creative ideas for Global Institutes. He attended a number of conferences and workshops there. He was honoured by Alumni Association of GNDEC South California USA for the remarkable contribution of Global Institutes in the field of Engineering, Management and Technical Education in Punjab.